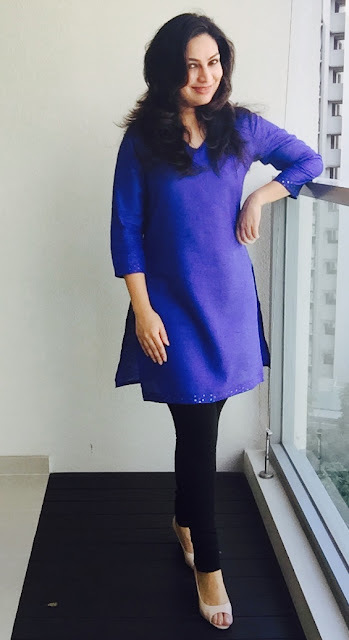 We love Kurtas , don't we? 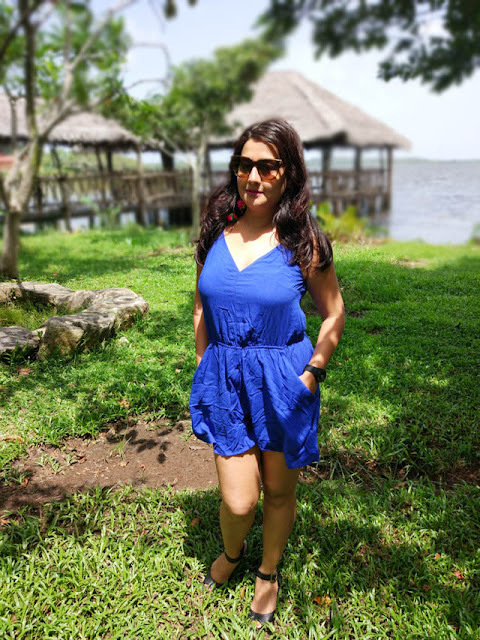 They are comfortable, stylish, 'ethnic yet western' and extremely kind in the face of weight gain. 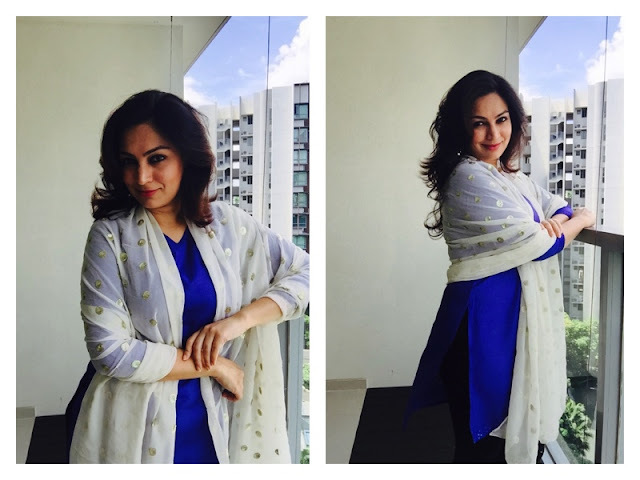 Unlike well fitted denims and figure hugging dresses who make weight gain rather obvious, kurtas continue to show their kindness even when one's up by a few pounds. Kurtas are sometimes the only choice of clothing we have on occasions. And if you don't have those heavily embroidered or designer ones, fret not !!! 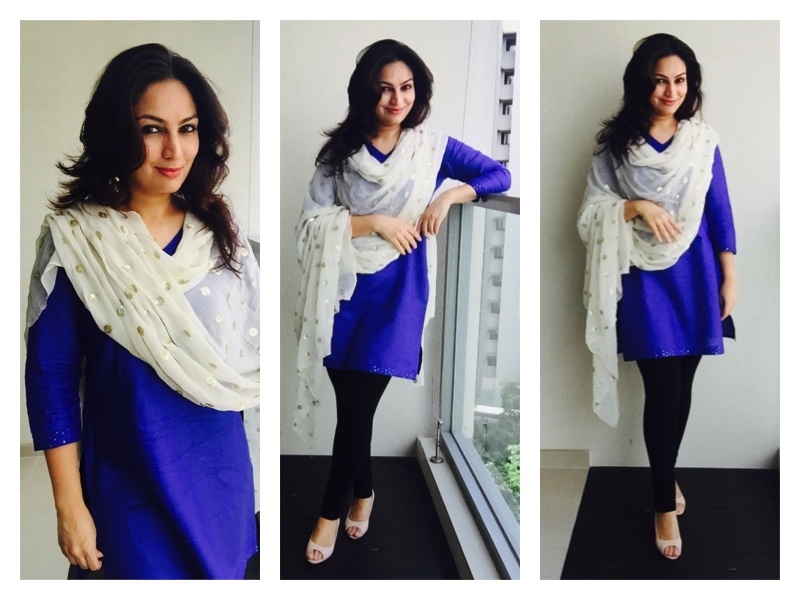 There are some very easy ways in which you can jazz up a simple kurta ... 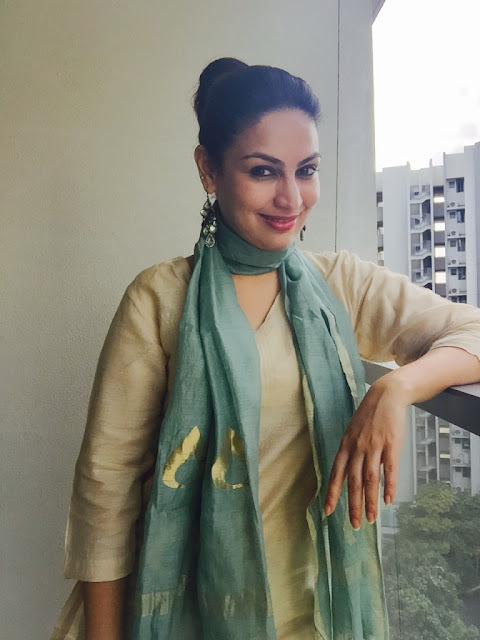 So at least make sure that you invest in some good solid colour kurtas as styling them differently each time will never make you feel like you ever ran out of options. Take a fancy dupatta and just drape it across both your shoulders ... I chose a very simple white georgette dupatta with golden sequin work. However you can pick anything colourful on a solid colour base. 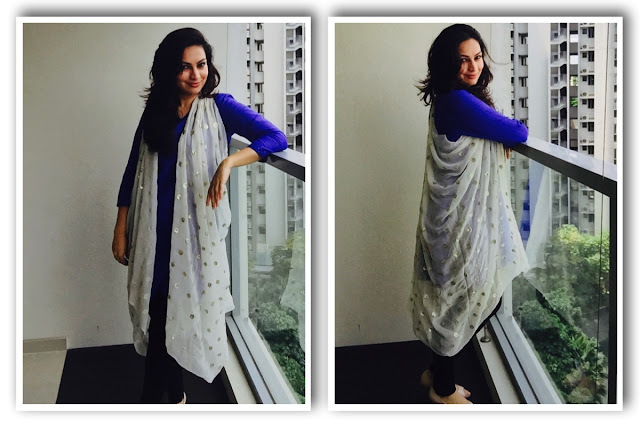 Fold the dupatta twice from end to end and tie the edges with a knot. You should have managed to create 2 armholes like these ... slip your hands through to make a jacket and VOILA you just created a new outfit. 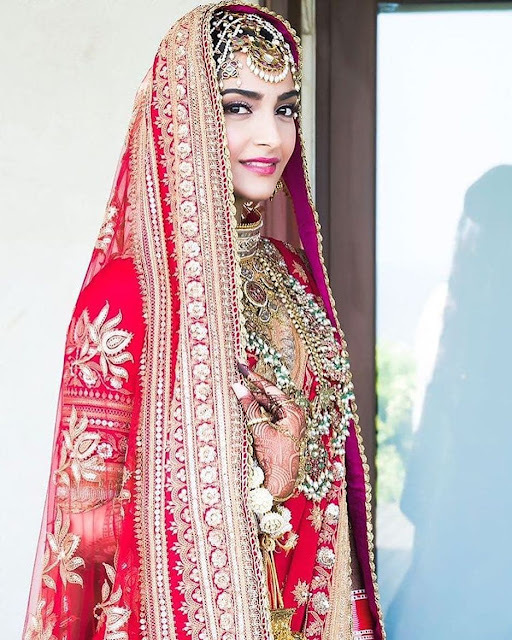 If wearing a dupatta is not an option then take help from some jewellery ... Accessorising is quite a creative process and if done well can really help you stand out. Chunky jewellery can compensate for any simple outfit. So wear some heavy earrings, statement neck pieces with cool rings and one may not be able to tell that this was the same outfit your wore the other day. 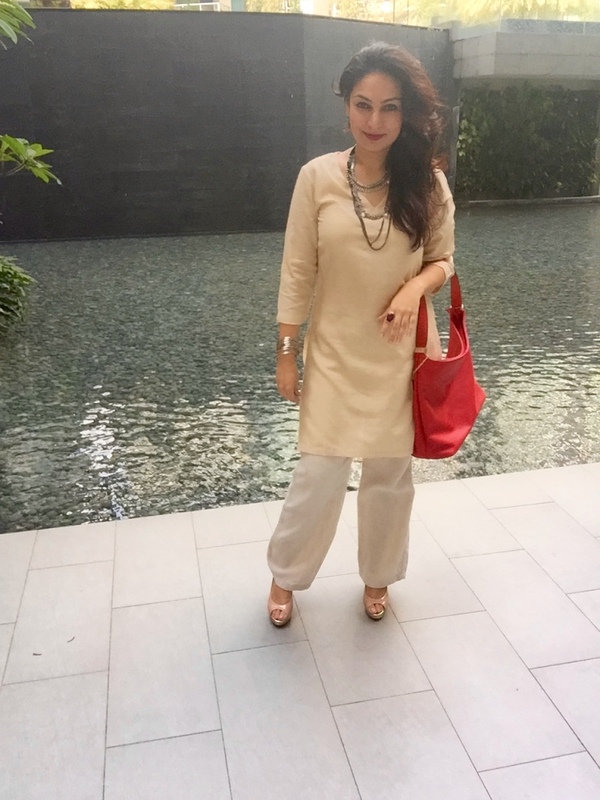 This is a plain off white silk kurta paired with linen trousers of the same colour from #marksandspencers ... Since the outfit is pretty pain I get a good canvas to bring colours out from accessories and makeup. Have worn 2 necklaces - one an oxidised choker with another pearled piece. 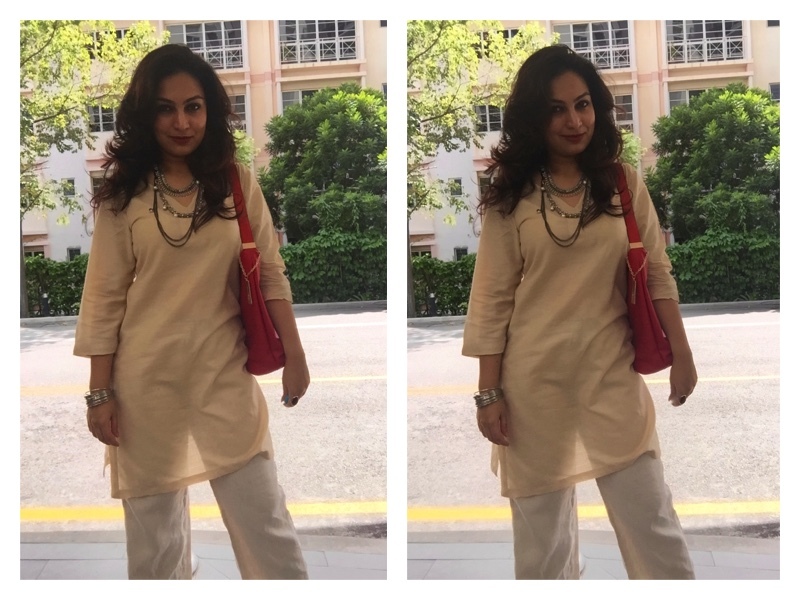 Clubbed this with silver bangles, cocktail ring and a red bag. Fancy dupattas, exquisite jewellery, statement bags & powerful shoes are great items to create an entire look. Though one cannot have enough of any of these, investing in a few pieces and combining them sensibly can work very well. Send us your picture next time you get dressy in simply looks.